Welcome to the Castle Hill Shutters website. 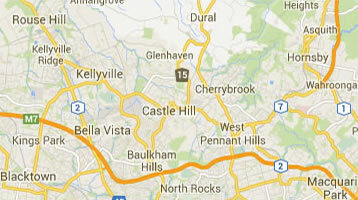 Castle Hill Shutters is a family owned business operating out of the Hills District. We specialise in supplying custom made window furnishings and opening roofing solutions at the best prices. Plantation Shutters in a variety of materials and styles. At Castle Hill Shutters, product quality and customer satisfaction is our promise to you. We will be beaten on Price or quality. We provide up to 25 years warranty (conditions apply) on selected products. The staff at Castle hill Shutters will show how our product will look and transform the overall look and ambiance of your home or business. When you meet with one of our highly experienced sales staff, you will be shown a large range of quality products and colours to suit your home. Why Choose Castle Hill Shutters? We are a local family owned business servicing the Hills District. We offer a free measure and quote together with our consultation service. We will quote our best price first time. We will not start with inflated prices like many of our competitors. All our products are made from the finest materials available, ensuring long life trouble free operation. We employ our own highly trained and qualified installers. We focus on establishing a long-term relationship with our customers based on demonstrated value, trust, and mutual respect. It’s the pride we take in our work which sets us apart from our competitors.